It’s always a good thing to end the week with a review, especially a good one. And so it is with the one sent to me by Australian author Angela Slatter (or should that be DR. Angela Slatter now? ), purveyor of beautiful but slightly warped reinterpretations of the classic fairytale, as well as distinctly unsettling weird fiction. 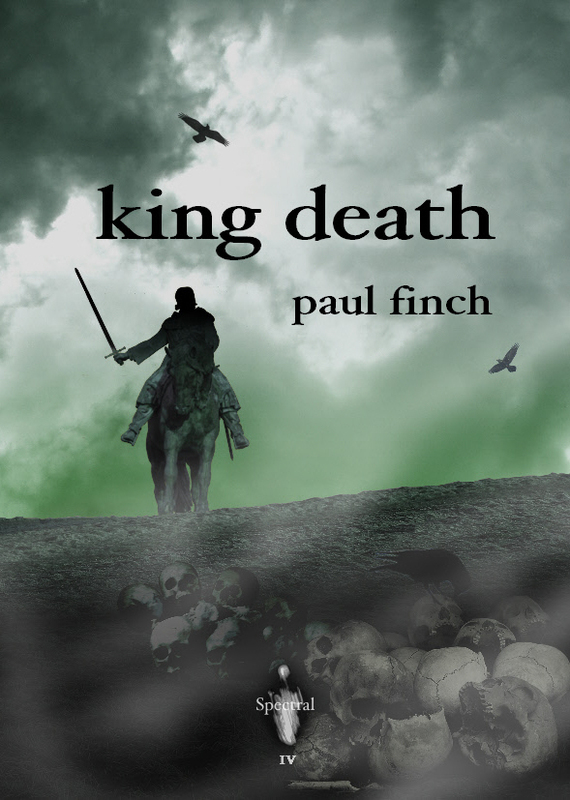 This particular review is of Paul Finch’s British Fantasy Award-nominated tale of medieval hubris set amidst the aftermath of plague, King Death. You can read what she wrote by going here. Don’t forget that this Spectral Visions novella by John Llewellyn Probert is up for pre-order right now, however we suggest that you be quick about ordering one – close on three-quarters of the print run of the limited hardback have already gone. This is sure to be another sell-out, so grab your copy now! You can find ordering info by clicking the tab next to ‘Home’ on the menu bar above.